Home » The Spring 15 FSU Newsletter is here! The Spring 15 FSU Newsletter is here! 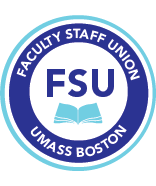 A look at the FSU's busy "Year of Organizing"
Get to know your contract: the bargaining process. We hope you enjoy the issue! Note: this edition will be distributed to all members electronically. Print copies are available upon request. Contact the FSU office to get yours.